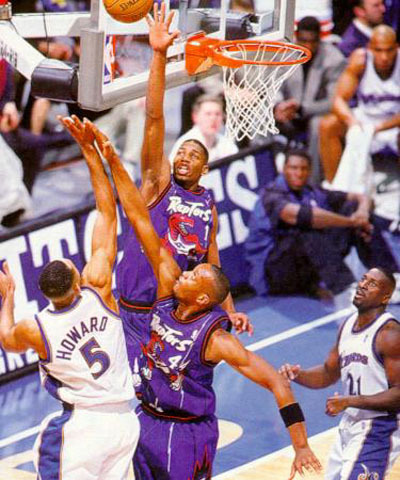 Another player to come straight to the NBA from high school, T-Mac was drafted by the Toronto Raptors who also had another high flyer on their team, his cousin, Vince Carter. He has wowed crowds everywhere he played and this was highlighted during the 2000 Slam Dunk contest where he displayed spectacular dunks. He took his talents to Orlando where he would have teamed up with Grant Hill who was severely hampered by ankle issues. Let’s take a look at McGrady’s game and why he was one of, if not the most, electrifying players in the early 2000s. When it comes to scoring, only a few can match T-Mac’s arsenal. He can score anywhere on the court, from beyond the 3 point line, all the way inside. He has improved his jump shot over the years, especially during his Orlando Magic days, where he was almost always the sole scoring threat for the Magic. He can beat anyone in an isolation situation and is a great finisher. This is evident when he led the league in scoring during the 02-03 season where he averaged 32 point per game, the most since Michael Jordan. 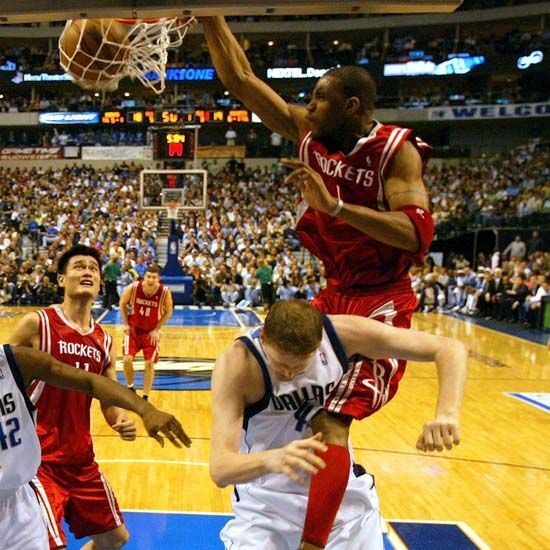 Scoring is not the only thing that McGrady brings to the table, he can beat you in a lot of ways. When he puts his mind into it, he is a great defender and can shut down anyone. His length allows him to bother any shot in front of him and his anticipation allows him to steal the ball by playing the passing lanes. He is a great rebounder for his size and because he is such a freak of nature, can start the fast break when he sees the situation calls for it. When talking about T-Mac’s offense, his offensive instinct has to be mentioned. He is not only great at putting the ball in the hoop, but making his teammates better as well. When he has the ball, the defender knows that T-Mac has the ability to find the open man, which makes him such a terrifying offensive threat. He won’t force shots when he sees a better opportunity for the team to score. 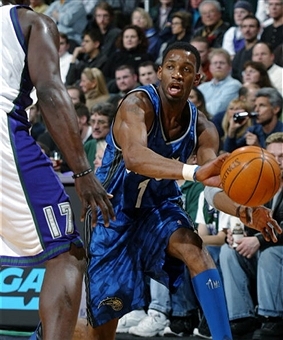 This is why unlike other volume scorers in the league, a lot of players like to play with McGrady. 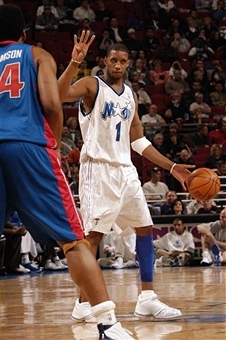 It has been often a knock on McGrady that he has not advanced past the first round when he is leading a team. However there are times when the circumstances are not in your favor. T-Mac certainly did everything in his power to advance but it was just not meant to be. He has always took responsibility for his team’s performance and this is how a leader should act, win or lose. It’s you job to lift up your team’s spirit, even if the opponent in much more talented than you are. The biggest question regarding McGrady’s legacy is if his achievements were enough to catapult him among the all-time greats. However, injuries and failure to go on deep playoff runs will certainly play a part in putting him among the best. Make no mistake though, the run he had during his peak years were absolutely marvelous. There was even a time that people were arguing on who was better between him and Kobe Bryant, so that says something about your talents. Whatever the case may be, T-Mac is one of the best basketball players in recent memory.